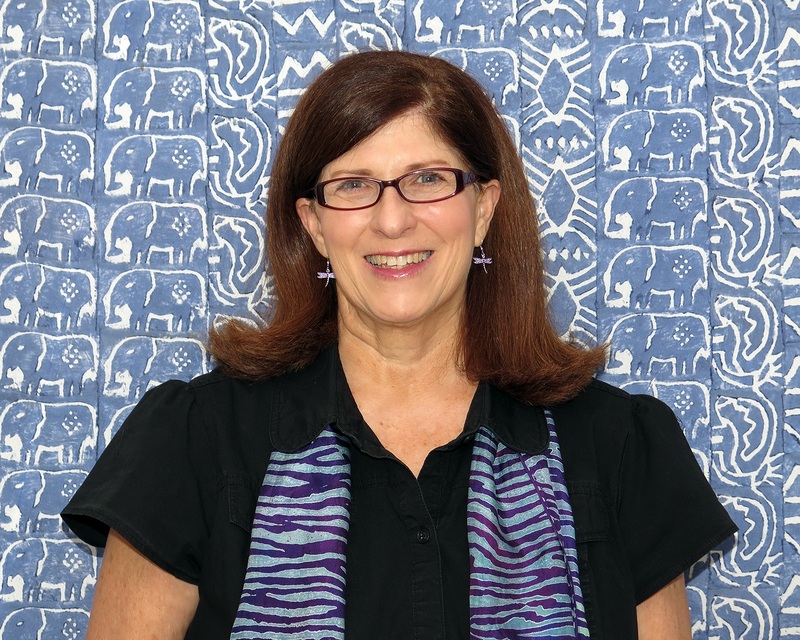 Meet Rebecca Rothney, Founder and Chairperson of Pack for a Purpose. 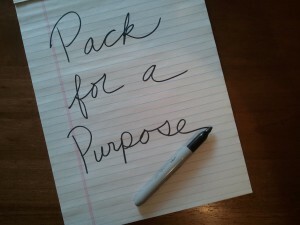 Pack for a Purpose (PfaP) is a web-based non-profit that links travelers with children and adults in need worldwide. The organization facilitates the free delivery of resources, like educational and medical supplies, to schools; after-school programs; medical and veterinary clinics; libraries and other community services in participating countries. How does Rebecca work this magical gifting? Look at her smile; catch her enthusiasm; experience her hospitality, and you see that Rebecca is herself a magical magnet. When she began developing PfaP five years ago, Rebecca’s magnetism attracted others to her vision of being an ongoing contributor. Rebecca says, “I grew up with the belief that if you are part of a community, you are responsible for contributing whenever and in whatever way you can.” The worldwide web creates a world community. Pack for a Purpose has brought more than 57,000 pounds of supplies to more than 400 locations worldwide. Guatemala; Romania or Philippines, for example, with people who were going to those locations. “I thought that if we make it easy, people will do it,” Rebecca explains. Now five years old, Pack for a Purpose has brought more than 57,000 pounds of supplies to more than 400 locations worldwide. As the non-profit grows in scope and outreach, Rebecca continues to oversee a team of dedicated volunteers. “A lot of people have an idea for something special,” says Rebecca, “but it takes a team to bring the idea to fruition. 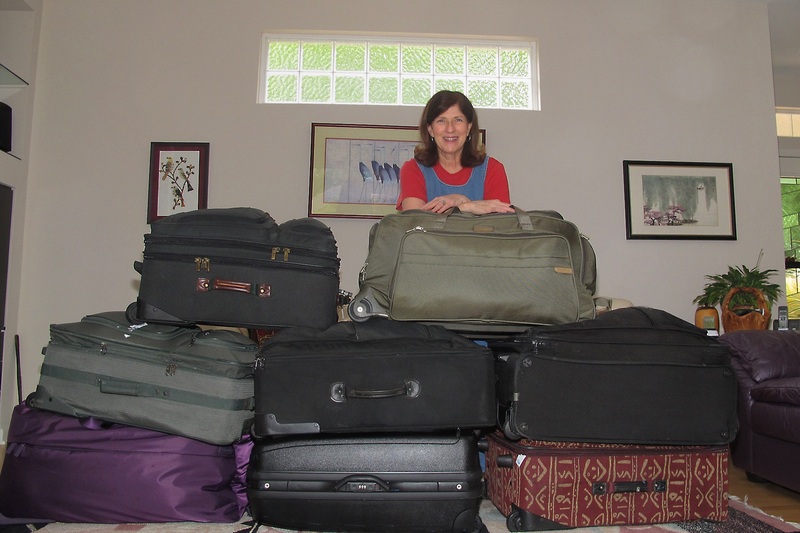 I have a fantastic team!” Rebecca and her team manage an extensive website that guides travelers through a simple process of maxing out their allotted luggage space by packing supplies like pencils and bandages for their trips. Rebecca’s personal journey began in her native Savannah, Georgia (US). When she was ready to start Kindergarten, her family moved to Sarasota, Florida, where Rebecca’s schooling in hospitality began to inform her future. “My father was an attorney,” explains Rebecca, “and Mom was a homemaker who was also active in my schools and our community.” Rebecca’s mother was a model of hospitality. “Mom would drop dead if I went to someone’s home for dinner, and certainly if I spent a weekend, and didn’t bring them a hostess gift,” says Rebecca, her humorous streak shining through the conversation. Persistence has paid off for Rebecca throughout her life and careers. As a teacher, Rebecca knew that if she needed supplies, people in other places needed resources, too. After graduating from Washington University in St. Louis, Missouri, Rebecca made her way to North Carolina where she taught middle school. 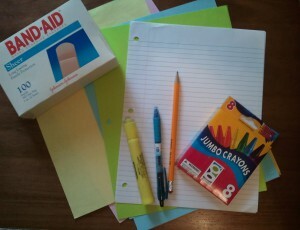 “It’s been twenty-five years since I worked with students in sixth – eighth grades,” says Rebecca, “but I remember having to constantly beg for classroom supplies in the face of cutbacks for educational funding.” Lesson learned: Rebecca realized that if she needed resources, people in other places needed resources, too. Her teaching experience helped frame Rebecca’s concept for Pack for a Purpose. Mr. Manning opened Rebecca’s eyes to the power of vocabulary. “The greater variety of language you have at your disposal, the more you can optimize opportunities and the possibilities for success,” Rebecca asserts. One of the most powerful expressions that Rebecca uses regularly is “Thank you!” She shows gratitude in words and actions. “Everyone wants to feel valued, and I especially enjoy giving thanks in the form of cookies (homemade mint-chocolate chip is her signature recipe), handwritten cards, and emails.” Rebecca closes her correspondence “With warm regards and appreciation.” She believes that showing gratitude is not only the right thing to do; it’s a strategy that gets attention. Ready to go! Rebecca packs for a purpose herself when she travels the globe. Rebecca draws attention with a skill set that includes persistence and cooking complete meals for guests in the home that she shares with her husband, Scott. They share a passion for travel. She has brought international guests to her home for twenty-six years through the International Visitor Leadership Program. Rebecca has visited every continent and more than forty countries. In Pack for a Purpose’s founding days, Rebecca started bringing soccer balls and stethoscopes on her frequent trips to Africa. She and Scott pack their own bags for a purpose when they travel now. “Scott has been a great cheerleader for me,” says Rebecca. “When we first met, Scott said that he thought that my voice had an enormous capacity for joy.” Joy trumps depression. “Being down is too depressing,” confirms Rebecca. She prefers being as people who know her describe her: optimistic, energetic, full of wonder, appreciation and laughter. Rebecca was recognized as one of National Geographic magazine’s “Travelers of the Year” in the October, 2014 edition. PfaP has also earned mention in several other American publications, and the non-profit’s international connections continue to expand. Pack for a Purpose’s slogan, “Small Space. Little Effort. Big Impact.” mirrors Rebecca’s approach to growing the non-profit she started, with one exception. It’s true that she and her team use a website to help travelers make a big impact on the lives of people in places they visit with the little effort it takes to pack supplies in extra, small luggage space, BUT Rebecca and her team make a BIG effort to get the job done.